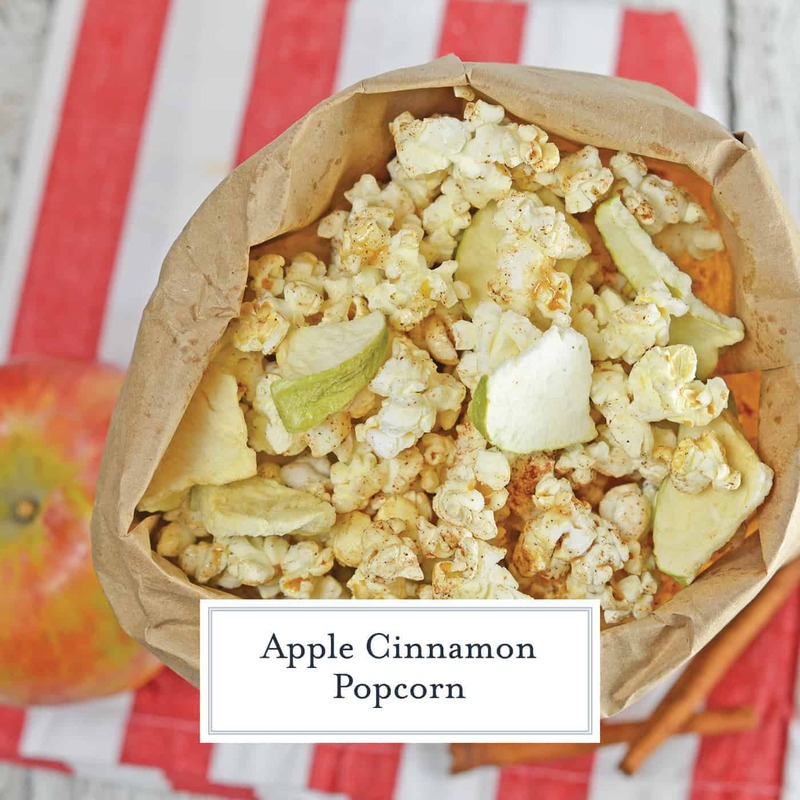 Apple Cinnamon Popcorn is a sponsored post on behalf of The Popcorn Board. All opinions are honest and 100% my own. Why would you want to always only be eating plain old popcorn? 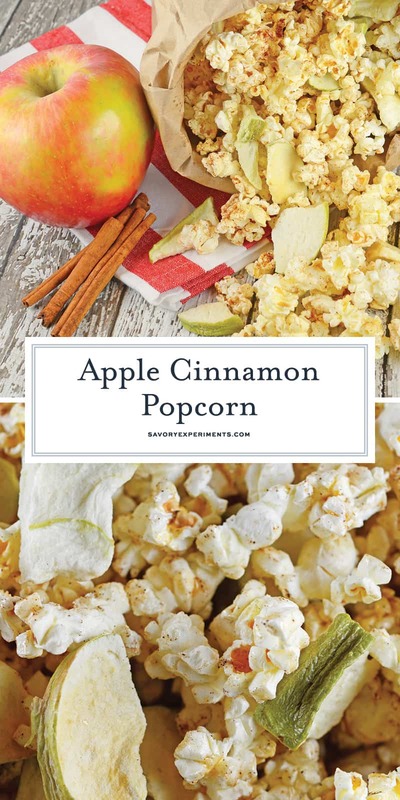 Level up your popcorn game by adding some flavor to your popcorn and make this scrumptious Apple Cinnamon Popcorn to be exact! 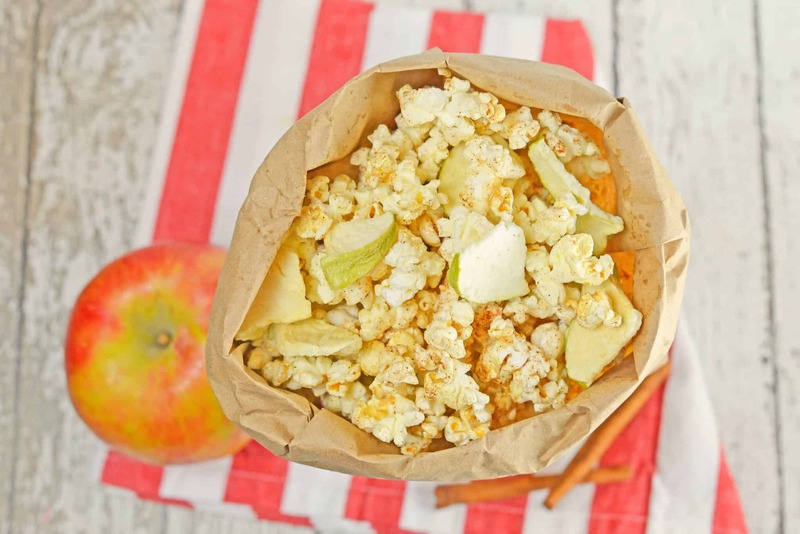 Apple Cinnamon Popcorn is a great way to enjoy popcorn as a dessert or snack. 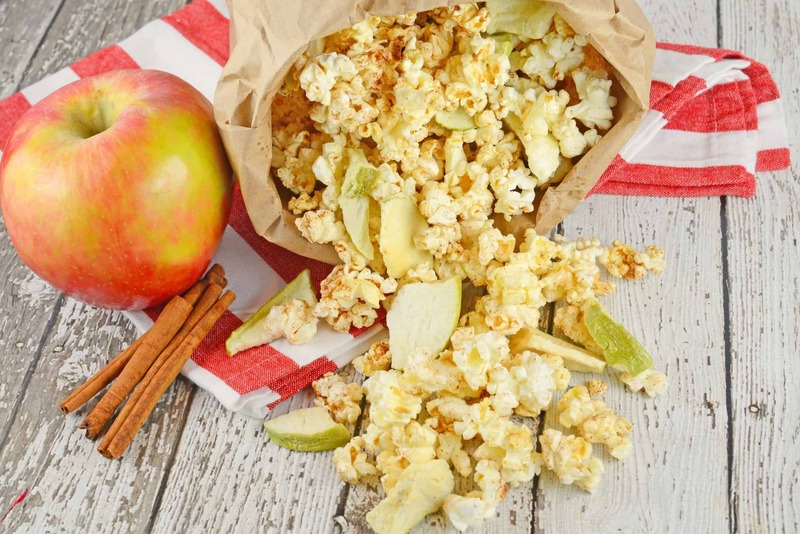 Tossed with apple chips, honey, cinnamon and vanilla, you will crave this popcorn seasoning every day! There has never been a shortage of flavored popcorn, caramel apple popcorn being among the most popular. While fabulous in moderation, I needed an alternative popcorn seasoning to keep me munching responsibly. I came up with a healthier version: Apple Cinnamon Popcorn! Basically an apple pie popcorn, I took air popped kernels and tossed them with honey, cinnamon and vanilla. 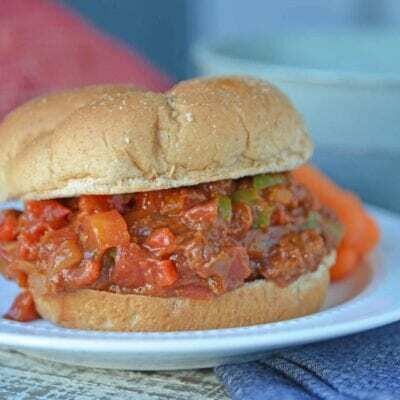 You can even use apple pie spice! Depending on what you have around the house, use coconut oil or unsalted butter, to toss with the other flavors and equally distribute. But what really sets this popcorn seasoning apart are the apple chips. Dehydrated chips of tart and sweet apples account for fruit intake and add loads of flavor! Want to learn more corny facts about popcorn? Popcorn is actually a seed. Popcorn is a whole grain, full of dietary fiber and is naturally gluten free. Popcorn is non-GMO and there has never been a GMO popcorn seed for sale in the U.S..
Americans consume 14 billion quarts of popcorn annually. The highest kernel popped 3 feet into the air. “Popability” refers to the percentage of kernels that pop in any given variety. Popcorn comes in two shapes: the “snowflake” and the “mushroom”. 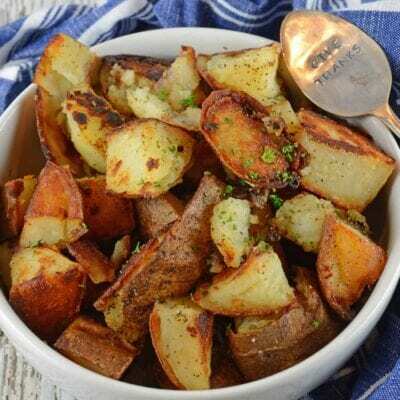 In a small bowl, melt coconut oil or unsalted butter with honey, vanilla and cinnamon or apple pie spice. Whisk to combine. 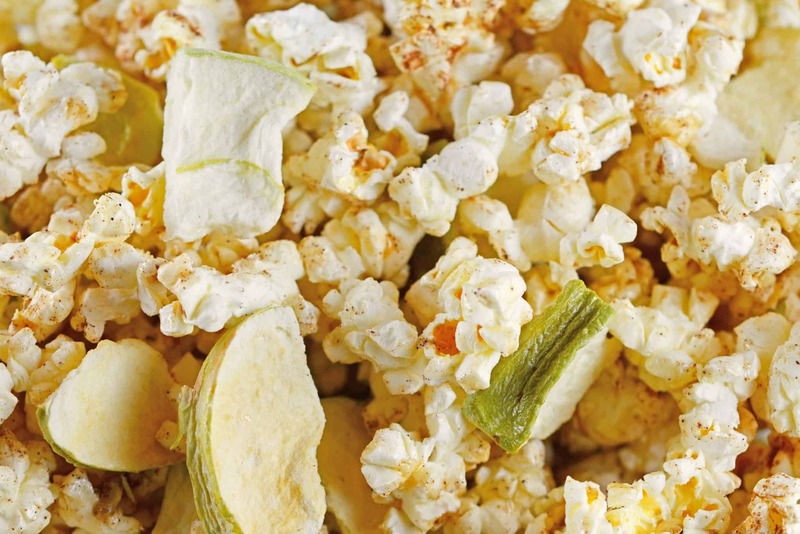 Drizzle and toss with popped plain popcorn. 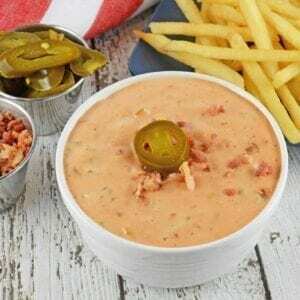 Toss mixture with apple chips. Enjoy! Leave me a comment and let me know how you like to eat your popcorn! To learn more about popcorn and get even more delicious flavored popcorn recipes, visit The Popcorn Board on Facebook or their website at popcorn.org. 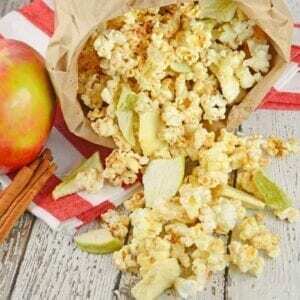 Apple Pie popcorn, now that’s a snack that I’d love to have this evening!! I adore an apple with popcorn. Salty/sweet is my thing. This could be my Super Bowl snack and avoid all that other stuff I shouldn’t eat anyway. Great idea!!! Thanks for sharing. Popcorn is my (and my sons) #1 favorite snack food! We will have to try this one out for our next movie night! 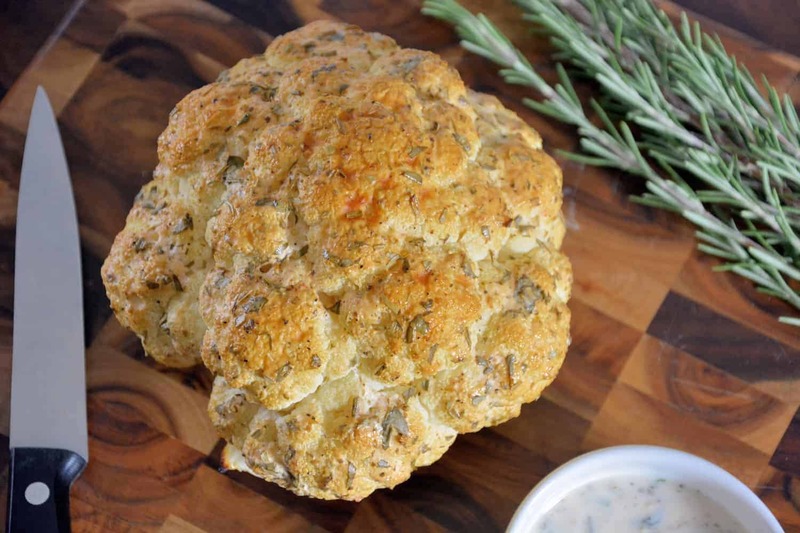 This is a fun flavor – I think my kids would love it! Such a great idea, I never would have thought of this for popcorn! 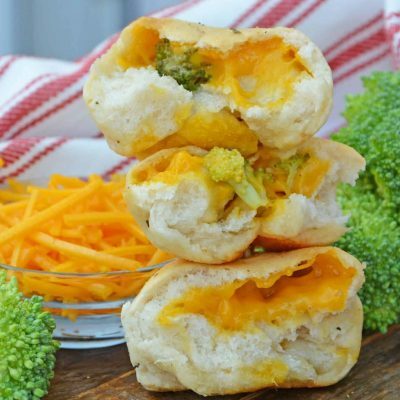 What a great snack idea! Love this fun flavor twist on popcorn!